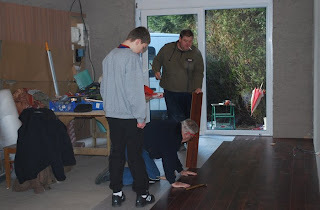 DBF, FIL and DBF's nephew working in our future living room. Isnt it awesome when they all work together! Great photo! What do you mean your furture living room. Did I miss something? Did you move or expand? Dying to know. Email me.